'He Was My Everything': A Farmer's Wife Reflects On Her Husband's Suicide In May 2011, Ginnie Peters' husband, Matt, took his own life. 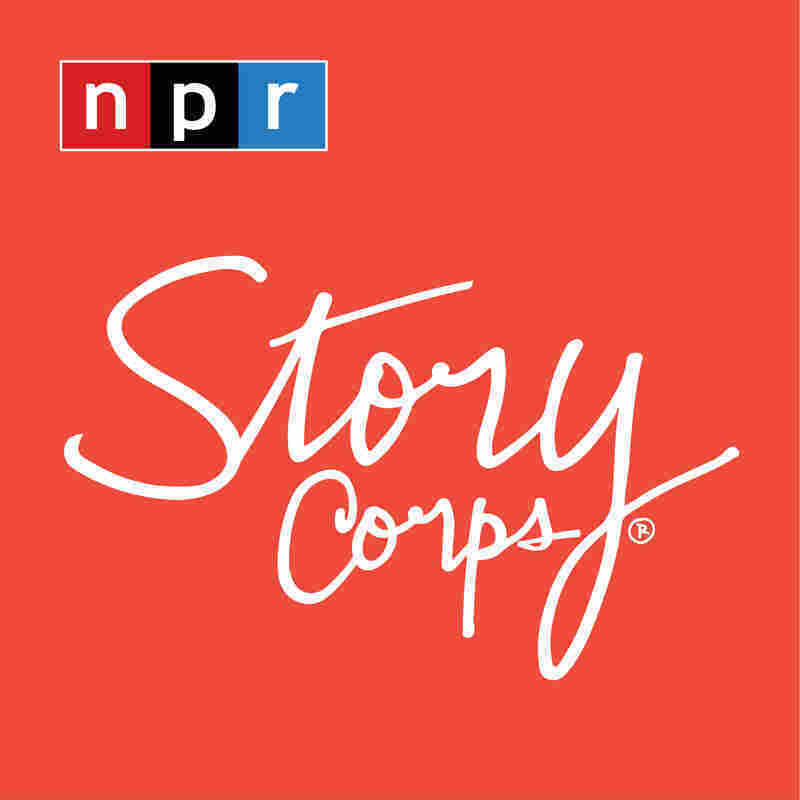 In a StoryCorps conversation, she and Trent Andrews, a family friend, talk about Matt's last day and a letter he left. 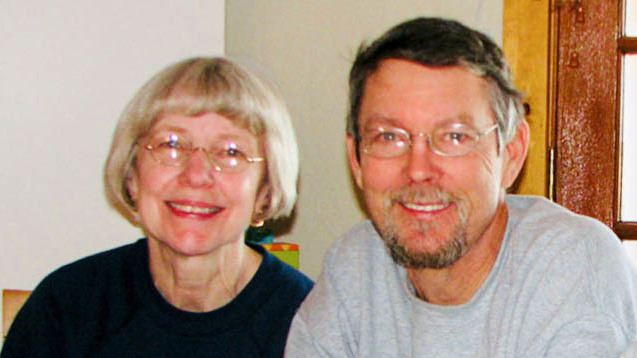 Ginnie and Matt Peters on vacation in February 2011, a few months before he died by suicide. Matt Peters farmed corn and soybeans in Iowa for more than 35 years. The farm had been in his family for generations, and though he had gone to college to study law enforcement, Matt decided to make a life as a farmer. "Matt just felt that that was where he needed to be," his wife, Ginnie, says in a StoryCorps conversation recorded in April. "Maybe not where he wanted to be, but it was where he needed to be." But the stress of farming — especially during springtime planting — can take its toll. Farmers have one of the highest suicide rates of any job in the U.S., according to the Centers for Disease Control and Prevention. In May 2011, Matt Peters, 55, took his own life. "The day that he died, that morning, he said to me, 'I feel paralyzed. I can't make decisions,' " Ginnie tells Trent Andrews, who took over the farm after her husband's death. "I'm thinking, 'This is normal stress. This is springtime [planting season]. If we could just get through the planting, we'd be OK."
But that evening, he didn't come in for dinner, she says. 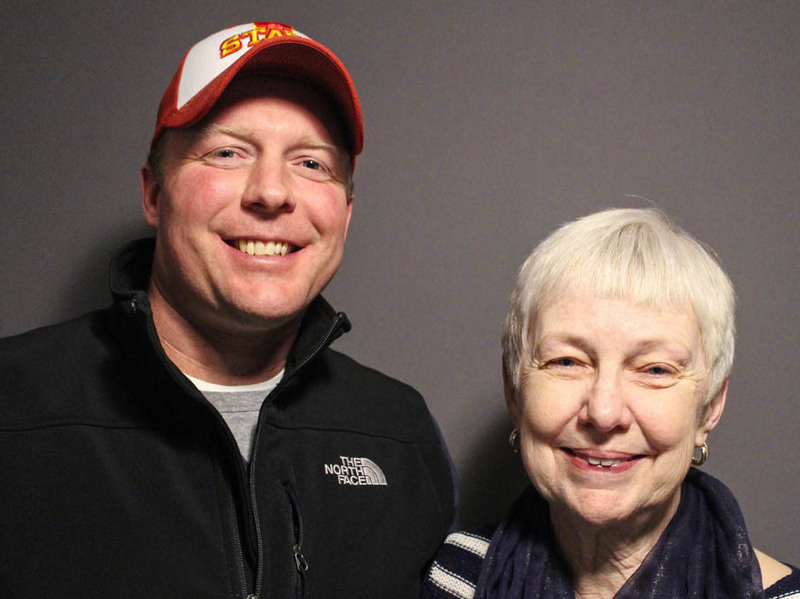 At StoryCorps in Des Moines, Iowa, in April, Ginnie Peters, 63, (at right) poses with Trent Andrews, 43, who took over farming her family's land in 2011 after her husband, Matt, took his own life. "Then my phone rang, and it was Matt. I said, 'Where are you? It's dark, and I've got dinner ready and you're tired. Why don't you come home?' " she says. "And he said, 'I love you.' We always said that, always. And I said, 'I love you, too.' That was the last conversation that we had." He wrote Ginnie a letter — a kind of a love letter, she says — and in it he said she should have Trent farm for her. Trent had worked at a local seed business, where he advised Matt on different seeds to buy. "It was very humbling for me to read the words that Matt wrote, and I think about it a lot," Trent says. "It is really hard for farmers to ask for help. I've always compared it to one person taking care of an 18-hole golf course by themselves. And, when you get down, your instinct is to work harder and, a lot of times, that's not the right thing to do." Ginnie has read different definitions of grief and one that she likes is Grief is love with no place to go. "But you just never let me be alone very long," she tells Trent. "And you looked out for me and quite often I ask, you know, 'How are you?' And then 'How are you really?' "
For Trent, the impression Matt made on him is indelible. "When you think about Matt Peters, you don't think about suicide. I mean, just, a lot of times before I make a decision I will ask myself, 'What would Matt have done?' " he says. "He was an excellent farmer and everyone respected him. I've told you that before, but I want you to know one more time." "Thank you," Ginnie says. "He was my everything." Earlier, we issued a correction about this story. We thought we were mistaken when we reported that this conversation was recorded in April. In fact, we were right. The conversation was recorded in April.